Pokémon Go may deal in imaginary creatures, but its dangers are real, according to a recent campaign from auto insurer Esurance. 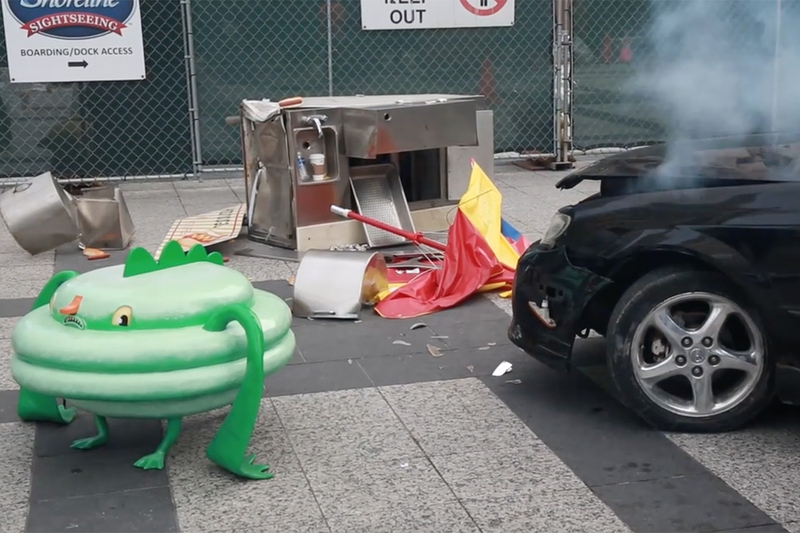 On Wednesday, the Allstate-owned brand staged a fake car crash on Magnificent Mile in Chicago where it appeared that a distracted man searching for Pokémon Go accidentally plowed his vehicle into a hotdog vendor. 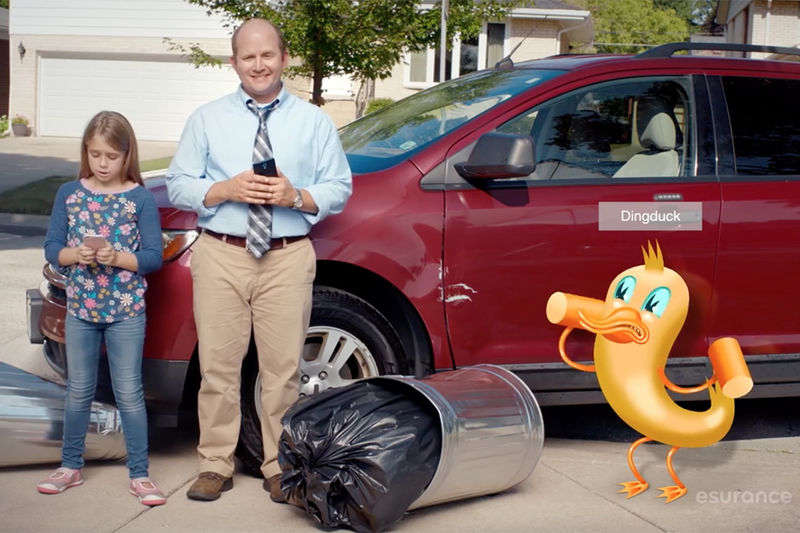 Esurance created its own Pokémon-type creature, the "Fenderbendix," which causes fender benders, and is using the hashtag #DontCatchAndDrive to promote the warning about mobile game playing. The company posted a 30-second digital video on Tuesday in advance of the Wednesday stunt, and a two-minute reaction video. "At first I thought it was real," remarked one woman. "But then we were like, 'Oh, it's an ad.'" Another mentioned the usefulness of the campaign for distracted players. 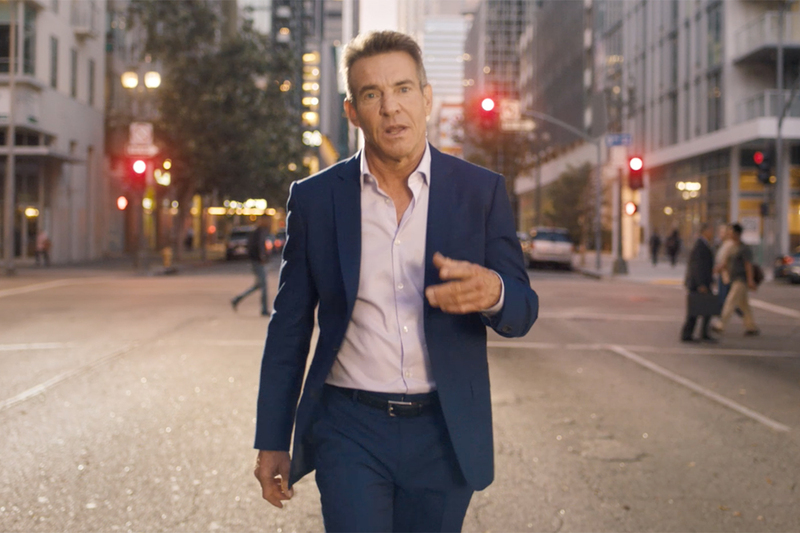 "Staging this scene allowed us to capture people's attention and send an important message about safe driving," said Alan Gellman, chief marketing officer at Esurance, in a statement. A spokeswoman for the San Francisco-based company did not say if the brand has seen any Pokémon-related claims this year. Esurance spent $148 million on measured media in the U.S. last year, according to Ad Age's Datacenter. 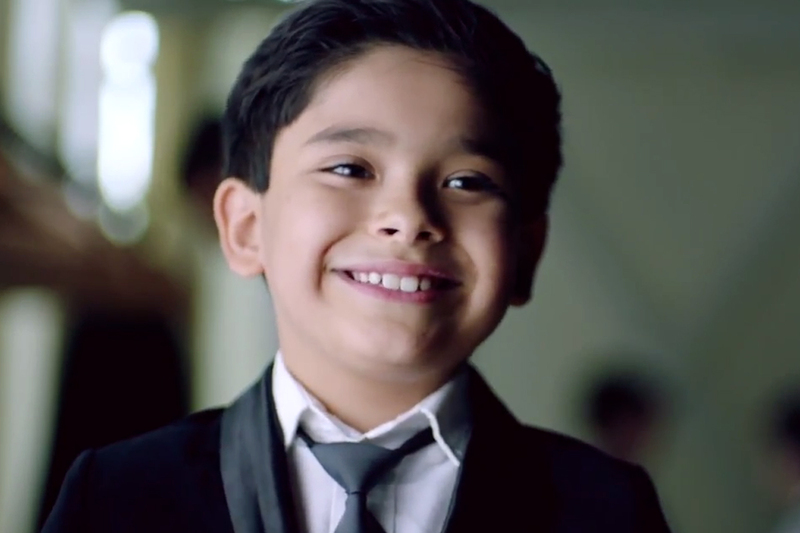 The company worked with Leo Burnett and MSLGroup on the new campaign. Though Pokémon Go has been a boon for the retail industry, reviving traffic in malls and spurring sales of branded merchandise from licensors like Hasbro, Build-A-Bear and Scholastic, the phenomenon has triggered several safety warnings as players forget to stay aware of their real, not virtual, surroundings when on the move. The Esurance effort is the second cautionary tale from a marketer this week. 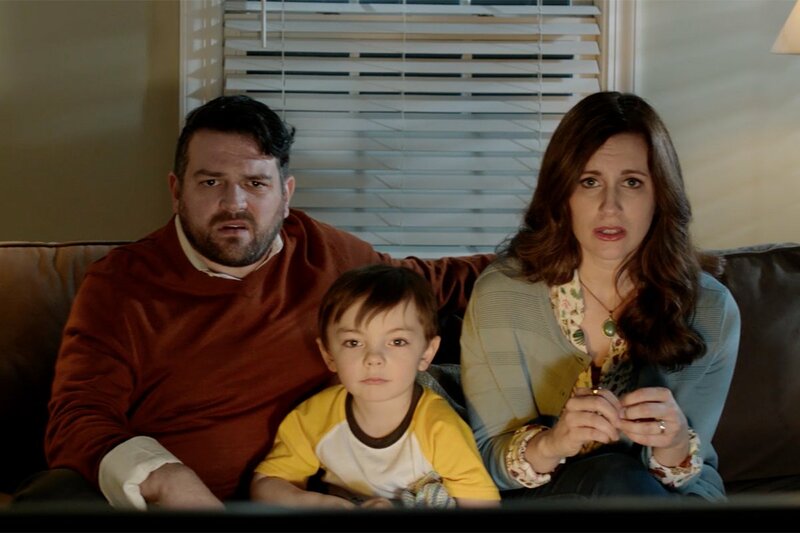 AT&T recently rolled out the latest spot in its "It Can Wait" campaign, which it began six years ago to promote awareness about distracted driving. In the ad, a normally cautious father takes just a second to look at his phone while driving, with disastrous results.